Ambling in Antwerp – Run. Ride. Roam. A day of roaming and getting jobs done, was on the cards for the day. 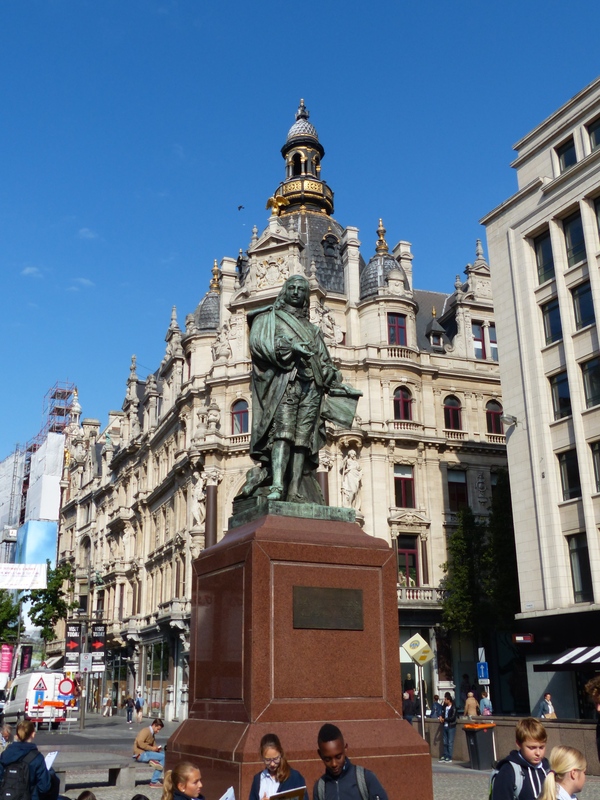 We made a leisurely start and strolled out into the streets of Antwerp. It was a bit quieter this morning, which was nice and more suited to our now precious and sensitive selves, who are not acclimatised at all to noise and crowds. When we arrived yesterday, we hit peak hour for pedestrians, with school out and people leaving work and our roaming was a very busy affair. This morning we had a little more room to move and we strolled through the grand interior of Centraal Station and out into the city. One of the first things I spotted was another reminder of home. 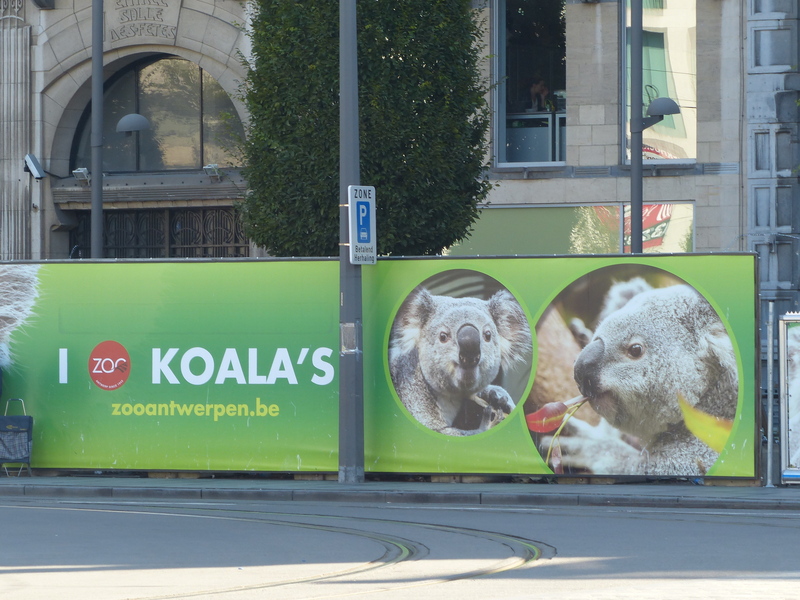 It seems there are some poor ol’ koalas stuck in the zoo. Poor little cobbers are a long way from home. Don’t get me started on the apostrophe! We got some practical jobs done, ready for our onward journey in Belgium, then settled into some strolling. 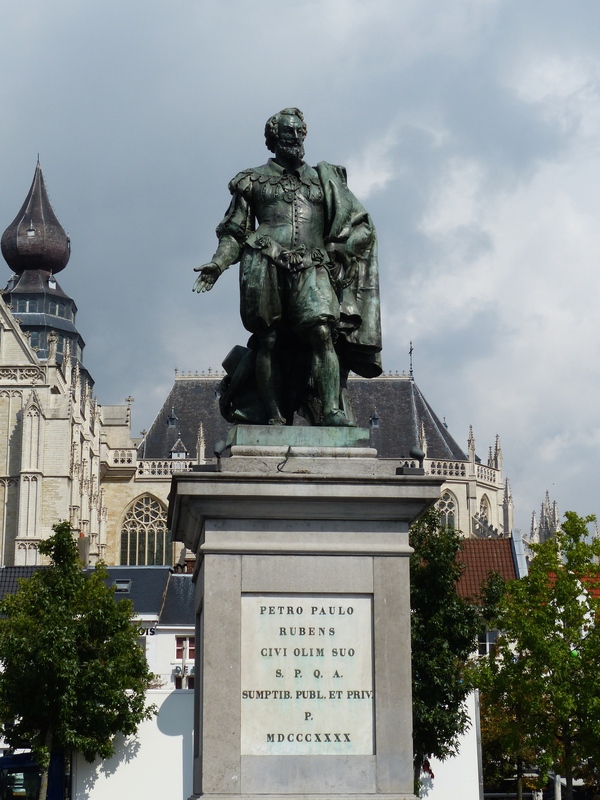 The painter, Peter Paul Rubens, is a famous former resident of Antwerp. We said hello to himself, in the form of his statute and saw his house. Rubens lived his whole life in Antwerp, but he and his wife bought the house in 1610, then spent time renovating it, adding extensions and updates and they lived in it for five years. At the time it was the grandest house in Antwerp. 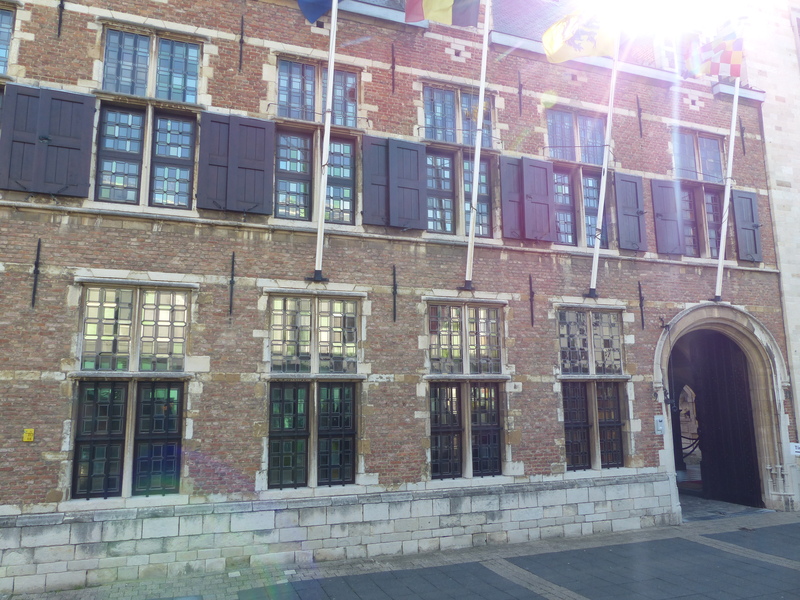 We strolled through the squares and cobbled streets and admired the buildings. Like so many European cities, the architecture is very grand and I just stare and admire the work and time that’s gone into designing and creating them. Although, even more modern buildings seem to be designed with the eye in mind. 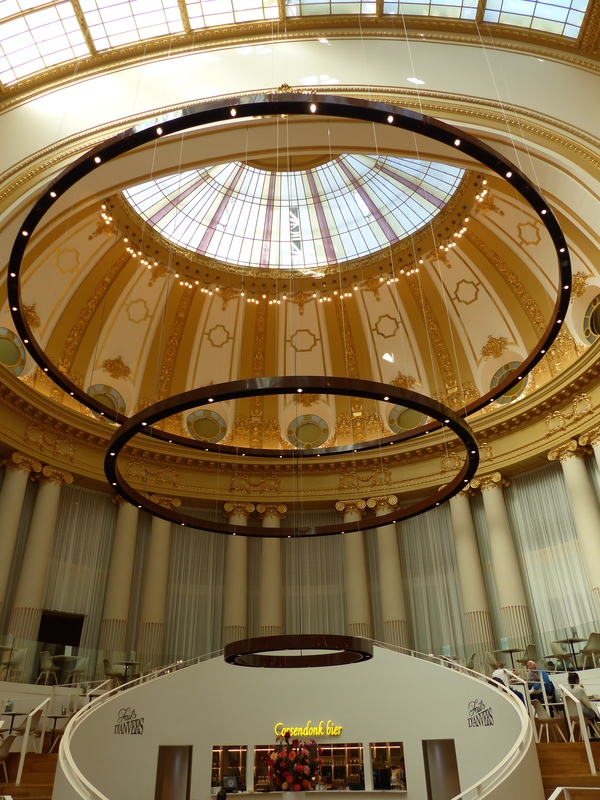 We walked through a shopping centre and the interior was quite breathtaking, with ornate details and a grand dome. This wasn’t a Westfield tribute to concrete! Time for lunch, so we turned once again to the faithful App that would point us in the direction of a suitable eatery with veggie options. We found one a few steps away and sat ourselves down at an outside table, where the sun was starting to put in an appearance and warm up the day. The menu all sounded delicious, with some very nice vegan options, so I went for a wrap and Steve ordered a burger and we sat and waited for our morsels to arrive. What was that? What did I just feel? No, surely not! R-A-I-N!!! Yep, those clouds had reappeared in a dastardly shade of black and decided to rain on our parade. We picked up our bits and pieces and joined the other outdoor diners in the mass migration to the shelter of indoor tables. Oh well, we nearly managed an alfresco luncheon. Not quite, but nearly! Lunch was delicious and the wet was outside, away from us, so it was all most enjoyable. There comes a time in any rainy day however, when it becomes necessary to actually venture forth into the wetness. 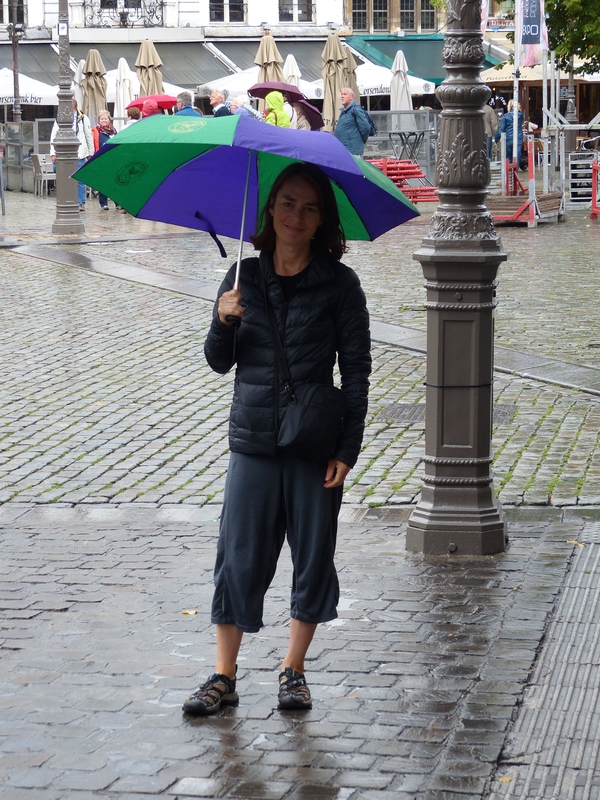 Umbrellas at the ready, off we went, with a splash here and a squelch there and continued some roaming in the rain, perambulation in the precipitation, dawdling in the damp and strolling in the sogginess. Eventually, we did decide to pull the pin and head for some shelter to dry out, so after collecting our necessary evening supplies, we returned to our room. At least Ira had a rest and the umbrella came in from the reserve team. It was a slow day but an enjoyable one. We didn’t have any extra surprises from bare body bits, so it was a very sedate and G rated day. 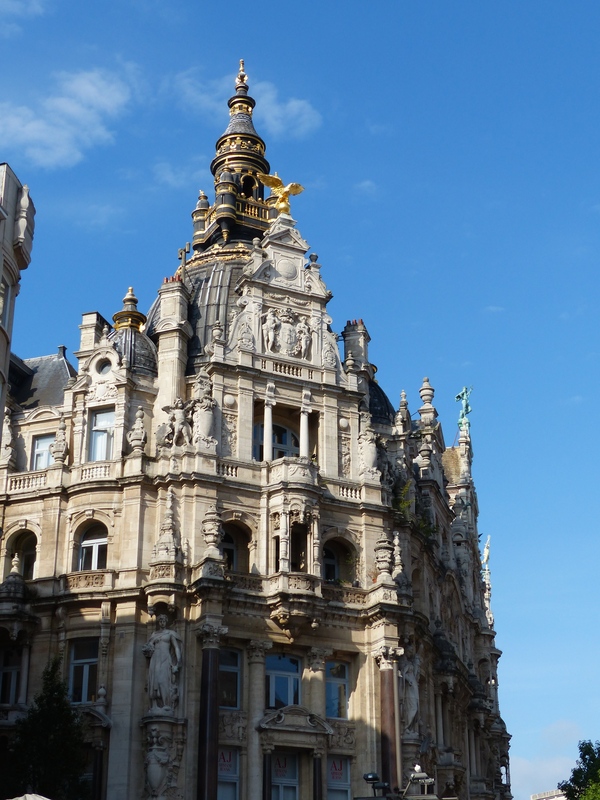 We got our jobs done, roamed leisurely and saw some sights of Antwerp. We shall pedal on tomorrow, heading south, so we will discover what cycling Belgian style is all about. We will try and go forth with the adventurous spirit of that famous Belgian, Tin-Tin and find our way by attempting to follow the advice of that other great Belgian, Hercule Poirot, and use our “little grey cells”. Tomorrow is another day and surprises await. We’re ready to unwrap them! We walk in the footsteps of the famous! Hercule was always most offended when people called him French! And yes, the eyes only feasted on the naked beauty of the surroundings today, rather than just the naked!